City have booked their ticket back to Wembley for the FA Cup final following a 1-0 win over Brighton. Manchester City kept their treble dreams alive with a hard-fought 1-0 victory over Brighton & Hove Albion in the Emirates FA Cup semi-final. The game was decided by an early Gabriel Jesus goal. The Blues will now return to Wembley in May to face either Wolverhampton Wanderers or Watford. City started the encounter as they seemingly do every game this season - on the front foot and looking to grab an early lead. Following a couple of surges forward, the Blues got their advantage inside the opening five minutes. Ayermic Laporte played a sensational ball out wide to Bernardo Silva, who gave it to Kevin de Bruyne before City’s Belgian star whipped it into the back post where Jesus was waiting to head home. 1-0. A perfect start of Pep Guardiola’s men, although Chris Houghton will be very disappointed that his players haven’t dealt better with the well-known Citizens early threat. Anthony Knockaert was trying to shift the Seagulls forward on the counter-attack to look for a response, although it was to no avail as City’s strength in numbers isolated Brighton’s winger. The game settled down following an early rush of action, seeing City toy with Brighton, shifting the ball from side to side and seemingly just waiting for their next opening. Davy Propper dragged an effort wide on the 20-minute mark - as close as Houghton’s men had come inside the first 20 minutes. As expected Brighton were looking to take advantage of set-pieces whenever possible. Knockaert whipped a long free-kick into the area, although the dangerous pairing of Shane Duffy and Lewis Dunk were unable to make anything of it as City dealt with them well. Kyle Walker was lucky to escape a red card following what looked like a headbutt on Alireza Jahanbakhsh, both were booked for the incident. On the whole, Brighton defended very well and would’ve been disappointed to be behind, but happy to still be in the game at half-time. It was the Seagulls who went on to press the Blues at the start of the second half, with both Knockaert and Jahanbakhsh looking effective on the flanks. Duffy won a header as Brighton’s pressure heightened, meaning Laporte had to clear the ball off the line away from Glenn Murray – the underdogs suddenly full of confidence. Not even the best team in the world can dominate all games at all times, and City proved they had it in them to ride the spell, get back on top and start to dominate possession again as the hour mark approached. Raheem Sterling tested Mat Ryan from range, however, chances came few and far between heading into the latter stages as City managed the game well. 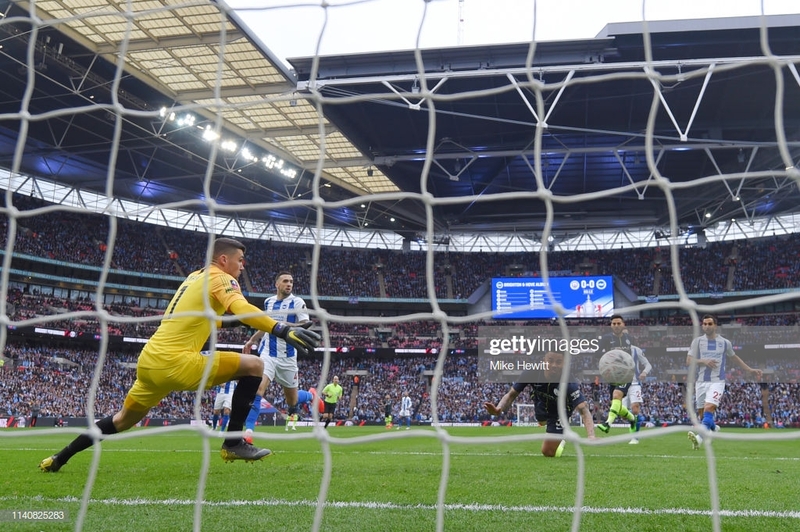 José Izquierdo tried his luck from range inside the last few minutes, Ederson held well and City held on for a place in the FA Cup final. With every game that passes for the champions of England, they step closer and closer to an incredible quadruple. 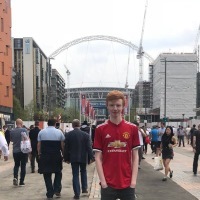 The FA Cup has become seemingly the most likely trophy of the remaining three for them to win, having been placed in the semi-final with three lesser teams, although the job still needed doing. The Blues will return to Wembley for the fourth time this season in May. Before the game Houghton made it clear that his focus remained on Premier League survival, this is something his side can now fully focus on. The south-coasters sit five points clear of the drop, meaning they could soon be dragged into the unwanted hunt for survival. 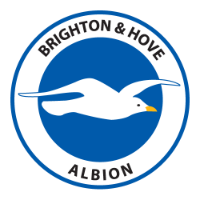 All Brighton fans will have thoroughly enjoyed their best FA Cup run since 1983, and should they stay up this season should be considered a highly successful one.